Posted by a****** in Uncategorized. 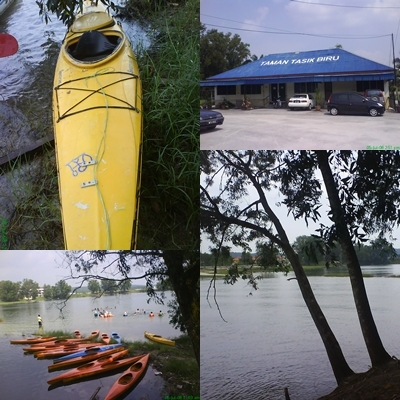 Tasik Biru or Blue lake was located at Kuang, Selangor Darul Ehsan. It is a nice place , has it’s own attraction with breathtaking view that mesmerized the visitors for relaxation. People find here to have such activities like picnic, watersport, windsurfing and also playing kites. But activities expecially kayaking, jet-skiing and surfing were the most popular water sport that can be found here. 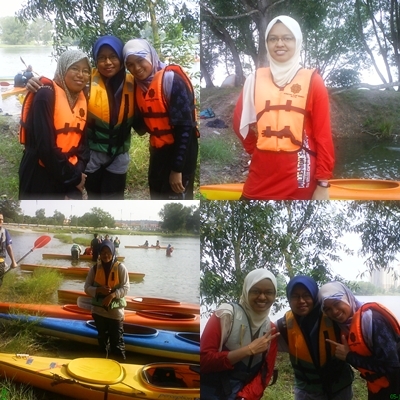 I can say that ,IIUM team in kayaking (sprint) nowadays can be proud of since they won medals in MASUM, Majlis Sukan Antara University -Inter University Sport-. The juniors really worked hard under new dedicated coach (Coach of Selangor) to be one of the competetive and challenging teams among other universities like University Malaya and UPSI (to mention few) which are already big name in this arena. So next time hopefully gold medal will be ours..(ours??? huhu )..caiyok!